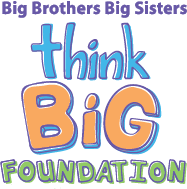 The Think Big Foundation is a sustainable funding source for Big Brothers Big Sisters of the Ozarks. On our weekly volunteer nights we work to prepare donated clothing for nation wide buyers. In this way we generate the funds needed for Big Brothers Big Sisters to provide mentors for at-risk children. This program isn't possible without volunteers. 100% of funds generated go to Big Brothers Big Sisters of the Ozarks. This is a relaxed and fun group of people. Children over the age of 14 are allowed to volunteer with an adult volunteer. Please wear comfortable clothes and shoes that are appropriate for manual labor. Aside from prepping donated materials we also work on various other projects needed completed by Big Brothers Big Sisters of the Ozarks.